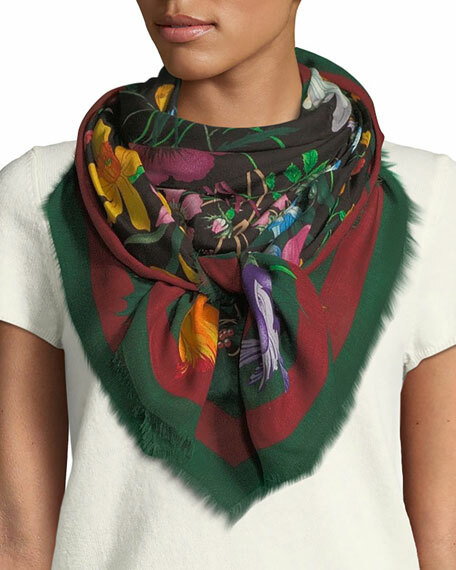 Gucci shawl in rainbow striped jacquard with Lurex® metallic. 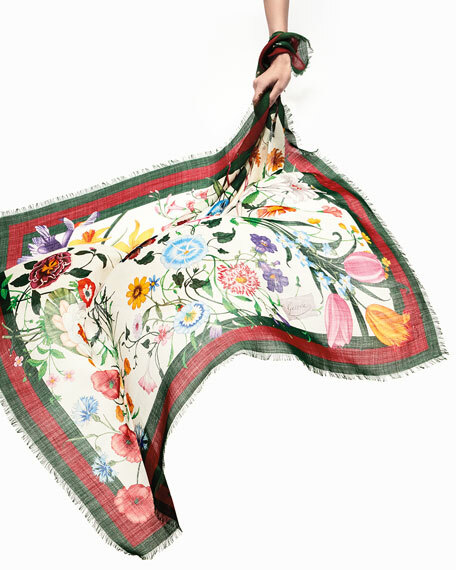 Gucci and bee motifs along the borders. May be styled multiple ways. Eyelash fringe finish. Wool/polyester. Made in Italy. Model's measurements: Height 5'10"/177cm, bust 33"/84cm, waist 25.6"/65.2cm, hips 35.8"/91cm, dress size US 2-4/FR 34-36.